Holistic diets and health supplements are potentially great. When used correctly your dog can benefit from years of dedicated research and development in the holistic health industry. But the operative words here 'when used correctly'. Because the holistic health sector is a relatively new introduction to the pet sector, a lot of dog owners are still getting used to understanding it. K9 Magazine has received a lot of questions in the past about this subject, so we thought now would be a good time to put them all together. Spencer Martin answers your queries. Will A Raw Food Diet Help My Dog? For nearly 6 months straight my dog became violently ill with terrible episodes of diarrhea anytime he ate his meals. We tried feeding him all types of dog food and eventually came to the understanding that he was allergic to every type of protein he was eating. 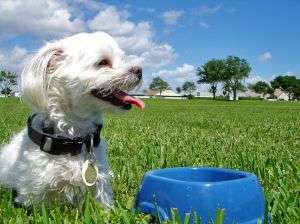 Is there any thing that I can do to get my dog the necessary nutrients it needs without resorting to commercial dog food? [Disclaimer] Hollistic health advice is not a substitute for professional petcare advice and should only be used in conjunction with advice provided by a suitably qualified petcare professional. Always seek immediate professional help if you have any medical or behavioural problems with your dog. Hollistic health advice serve is offered on a voluntary basis and the advice provided by the advisor is for guidance purposes only and should not be considered as irrefutable or conclusive. K9 Magazine is always happy to refer readers to appropriate organisations and governing bodies if you are seeking a qualified petcare professional.